Salifu Mahama, the Executive Secretary of the Inter-Ministerial Coordinating Committee (IMCC) on Decentralization, has stated that the success of decentralization requires sufficient financial resources to perform essential expenditure functions and responsibilities assigned to Metropolitan, Municipal and District Assemblies (MMDAs). Ing Mahama disclosed this at the opening of a zonal workshop to retrained staff of all 254 MMDA on the Ghana Integrated Financial Management Information Systems (GIFMIS), which simultaneously took place in Sunyani, Kumasi and Accra. The workshop seeks to build the capacity and increase the knowledge of staff of the local government service on the GIFMIS which has become a pillar of our PFM system to enhance effective implementation of the reform agenda. 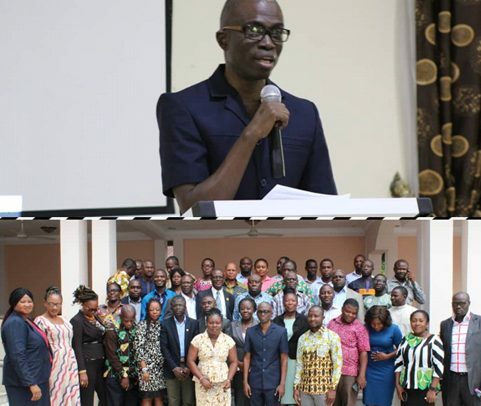 It created an opportunity for the 38 newly created MMDAs to set up and hook on to the GIFMIS platform. The participants also had the opportunity to provide information and feedback on the status and reliability of connectivity at the MMDAs level. The workshop was organized by the IMCC Secretariat in collaboration with the Fiscal Decentralization Unit and PFM-Reform Project under the Ministry of Finance and the GIFMIS Secretariat under the Controller and Accountant General Department. He said the workshop is a classic example of the unquestionable zeal and enthusiasm to accelerate two significant reforms, the Decentralization Reforms and the PFM Reforms. Ing Mahama said while decentralization aspires to transfer essential functions to the sub-national level, its responsibilities comes with the fundamental need to ensure that funds that follow these functions are efficiently managed and accounted for. He announced that the PFM-RP and the GIFMIS Team has worked to ensure that all the then 216 MMDAs had gone Live with GIFMIS and currently on-going with its usage stabilization.